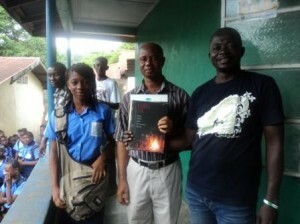 The Principal of the Modern School of Science and Technology in Makeni has urged the Ministry of Education Science and Technology to include ‘Fambul Tok’ as one of the core subjects in all educational institutions in the country. John Kanja Koroma made these remarks during presentation ceremony of Fambul Tok (the book) and the second year report to the school. According to him, Fambul Tok, which aims at community reconciliation is very important, not just in Sierra Leone but in other post conflict countries as well. He reminisced that, over three decades ago, schools were offering courses on civic education, which taught pupils how to identify and exercise their rights and responsibilities as citizens. Such important subjects have since been wiped from the regular school curricula. 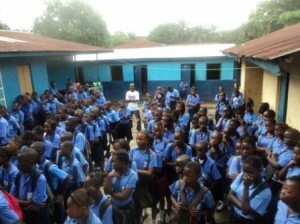 Koroma stressed that due to this change, pupils do not know the rights and responsibilities accorded them, and are unprepared to participate in their civic duties. The Principal went on to state that Fambul Tok activities are very important, as they heal communities and reconcile broken relationships. He noted that if the government, through the Ministry Of Education, Science and Technology, pays special attention to Fambul Tok as a key reconciliation tool and introduces it as a subject in schools, it will help students to contribute toward promoting peace and reconciliation in the country. 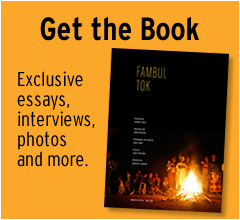 Team Leader of Fambul Tok in Bombali district, Joseph Kargbo, urged pupils to make use of the Fambul Tok book,adding that it will help them to know more about their ancient traditions leading to healing and reconciliation. One of the pupils, Isatu Sesay, while giving a vote of thanks, appealed to her colleagues to read the book and process the contents in a practical and relevant manner. She also urged them not to be selfish by depriving others through consistent borrowing of the book from the school’s library. This development makes great progress in the integration of Fambul Tok into the school system. 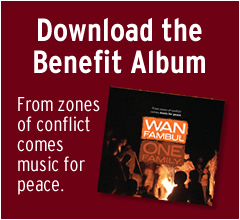 It will be a matter of time to see whether or not these concepts are fully embraced. In the meantime, other schools, such as Birch Memorial, Benevolent and Binkolo Secondary, about 5 km from Makeni are yearning for Fambul Tok staff to visit their campuses. This entry was posted in Bombali District, From the Ground: Program Updates from Sierra Leone, In the News, Recognition, Student Clubs, Education. Bookmark the permalink.